The Story Of Tom Scott’s Short-Lived Supergroup L.A. Express. Musical history is littered with artistes and groups that never enjoyed the commercial success that their music deserved. 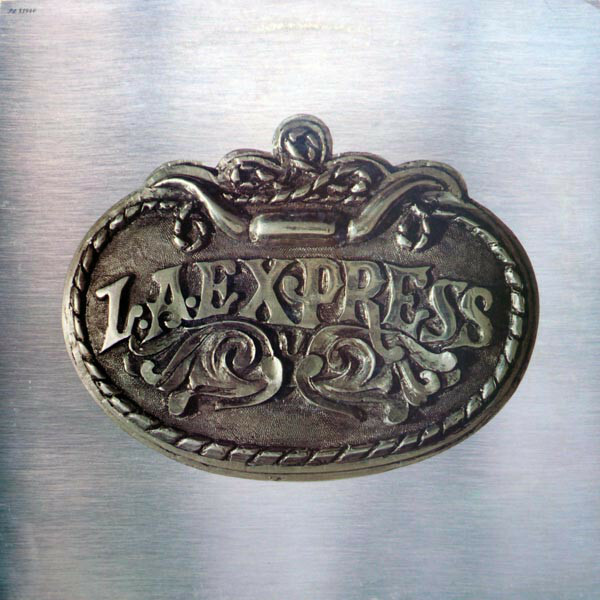 That was the case with L.A. Express is an oft-0verlooked fusion supergroup who released a quartet of albums between 1973 and 1976. Sadly, these albums never found the audience they deserved and it was only later, that L.A. Express’ music started to be appreciated by jazz and fusion aficionados. By then, the group’s founder Tom Scott had moved onto other things. This included founding The Blues Brother Band, providing the theme tune to Starsky and Hutch and receiving thirteen nominations for a Grammy Award. By then, Tom Scott had enjoyed a long and illustrious career which began as a fifteen year old, when t featured on Jan and Dean’s 1963 album Surf City And Other Swingin’ Cities. However, the one that got away for the jazz saxophonist, composer and producer, Tom Scott was L.A. Express. His career began in earnest in 1967. By 1967, seventeen year old Tom Scott, L.A. based jazz saxophonist had already decided to embark upon a career as a professional musician, and became the leader of the jazz ensemble Neoteric Trio. This came as no surprise to those that knew Tom Scott and his family. Especially his father Nathan Scott, who was a prolific and well-respected composer, conductor and orchestrator, who was well on his becoming one of the most prolific composers in the history of American film and television. He had started out in the music industry in 1939, after graduating from the University of California, Berkeley with a degree in music. Since then, Nathan Scott had lived in L.A. where his son Tom Scott was born on May the ‘19th’ 1948. Now that Tom Scott was making his own way in the musical world and it was a proud day for Nathan Scott. He had watched as his son made his recording debut on Jan and Dean’s 1963 album Surf City And Other Swingin’ Cities four years previously. Now just years later, in 1965, and Tom Scott was the leader of the Neoteric Trio. This was just the start of the rise and rise of Tom Scott, who soon, would be playing alongside the great and good of jazz. This included joining the Don Ellis Orchestra when they recorded Live At Monterey! which was released in 1966. The next album Tom Scott played on was Live In 3⅔/4 Time which tested his skills as a musician. However, Tom Scott rose to the challenge and played an important part in the album’s sound and success. Live In 3⅔/4 Time was released in 1967, and was one of number of albums that featured Tom Scott. He also collaborated with Roger Kellaway on the album Spirit Feel. When it was released on Pacific Jazz, they were billed as Roger Kellaway Featuring Tom Scott on Spirit Feel. Tom Scott also featured on Gábor Szabó’s Light My Fire With Bob Thiele, Oliver Nelson’s Live From Los Angeles and Bob Thiele And His New Happy Times Orchestra’s Light My Fire, which were all released in 1967 on Impulse! This was the label that the nineteen year old Tom Scott had signed to, and was preparing to record his debut alum. It was Bob Thiele who ran Impulse! for ABC, that had signed Tom Scott to Impulse!, which by 1967, was one of jazz’s top labels. Bob Thiele would also produced many of the albums released by Impulse!, including a number of classic albums. This made Bob Thiele the perfect person to produce Tom Scott’s debut album. It featured nine cover versions and the Tom Scott composition Blues For Hari. Later in 1967, Impulse! released Tom Scott’s debut album The Honeysuckle Breeze where the saxophonist was billed as Tom Scott With The California Dreamers. Despite marketing the album towards a younger generation of jazz fans, The Honeysuckle Breeze wasn’t the commercial success that Impulse had hoped. By 1968, Tom Scott was already a familiar face in the West Coast session scene, and was always in demand. Partly this was because of his versatility, but mostly because he was already regarded as one of the top young saxophonists. As result, he played on Ravi Shankar’s Charly soundtrack, Sergio Mendes’ Favorite Things, The Mason Williams Phonograph Record, Gábor Szabó’s Macho, Richard “Groove” Holmes’ album Welcome Home, Plummer’s Cosmic Brotherhood, Monk Higgins’ Extra Soul Perception and Oliver Nelson and Steve Allen’s Soulful Brass. Tom Scott was also drafted in to play saxophone on two albums by psychedelic rockers Carnival, Carnival and Gypsy Carnival Caravan. This was all good experience for twenty years old Tom Scott. 1969 saw Tom Scott successfully juggle his career as a sideman with his solo career, and soon, his nascent career as a bandleader. However, Tom Scott’s career as a sideman was flourishing, and in 1969 he found himself playing on a number of albums, including Lalo Schifrin’s soundtrack to Che!, Howard Roberts’ Spinning Wheel, Joe Byrd and The Field Hippies’ The American Metaphysical Circus. Some of the other albums Tom Scott played were produced by Bob Thiele, including Jimmy Gordon And His Jazznpops Band’s Hog Fat, T-Bone Walker’s Every Day I Have The Blues, Otis Spann’s Sweet Giant Of The Blue and Bob Thiele Emergency’s album Head Start. Still, though, Tom Scott found time to record his sophomore album. This was Rural Still Life which featured three of Tom Scott’s own compositions and marked the twenty-one year old’s production debut. However, just like The Honeysuckle Breeze, Rural Still Life failed commercially and Tom Scott left Impulse! Fortunately, Bob Thiele had just founded his new label Flying Dutchman Productions, and one of his signings later in 1969 was the Tom Scott Quartet. They released Hair To Jazz in 1969, and followed this up with Paint Your Wagon in 1970. While the albums were well received, they never found a wider audience. This was a disappointment for Tom Scott, who had come a long way in a short space of time. Five years after making his professional debut, Tom Scott had already released two solo albums and two albums with his new Quartet. By 1970 Tom Scott was also one of Los Angeles’ top session players, and a familiar face on the West Coast music scene and that year, accompanied some of the biggest names in music, including Neil Diamond, Jimmy Webb, Phil Ochs, The 5th Dimension, Dave Antrell, Sergio Mendes and Freddy Robinson. Later in 1972, twenty-four year old Tom Scott had just signed to A&M and was preparing to record his third album Great Scott. When it was released in 1972, it was well received by critics. However, it was three years before Tom Scott returned with his fourth album, as he was about to found a new supergroup L.A. Express. The Birth Of Tom Scott and The L.A. Express. By 1973, Tom Scott was looking for a backing band within the West Coast music scene. The contacts that he had established over the last few years served him well, and he was able to secure the services of four talented, versatile and vastly experienced musicians who had worked as session musicians and bandleaders. This included drummer and percussionist John Guerin, bassist Max Bennett, guitarist Larry Carlton and keyboardist Joe Sample. They would become L.A. Express which was formed in 1973. Tom Scott and The L.A. Express. Not long after Tom Scott recruited the four members of The L.A. Express, they headed into the studio to record an album together. That album was Tom Scott and L.A. Express, which was an accessible album of fusion which was released by Old in August 1973. By then, fusion was at a crossroads. The West and East Coast sounds were quite different, and jazz-funk was growing in popularity. All this affected sales of Tom Scott and L.A. Express, which is a vastly underrated album from the all-star band. This was a disappointing start to the partnership between Tom Scott and L.A. Express. Joni Mitchell -Court and Spark. The second album that Tom Scott and The L.A. Express worked on together, was Joni Mitchell’s sixth album Court and Spark. Tom Scott and John Guerin featured on all eleven tracks, while Max Bennett and Larry Carlton featured on eight songs. Joe Sample only featured on Raised on Robbery, but in doing so, played his part in what was Joni Mitchell’s most successful album. 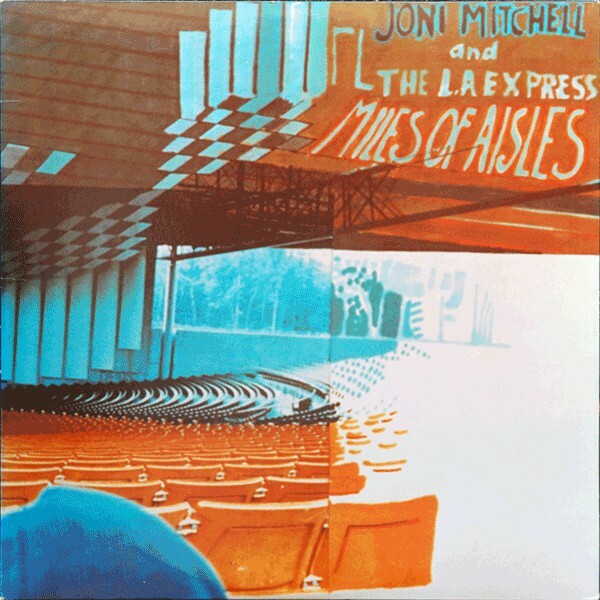 Joni Mitchell and The L.A. Express-Miles of Aisles. Two months after the release of Court and Spark, work began on what would become Joni Mitchell’s seventh album Miles of Aisles. Joni Mitchell decided that The L.A. Express should accompany her on Miles of Aisles. This time, The L.A. Express received equal billing with Joni Mitchell. Recording took place between the ‘2nd’ and ‘4th’ of March 1974, and was completed between August the ’14th’ and ‘17th’ of 1974. Not long after this, two members of L.A. Express dropped a bombshell. 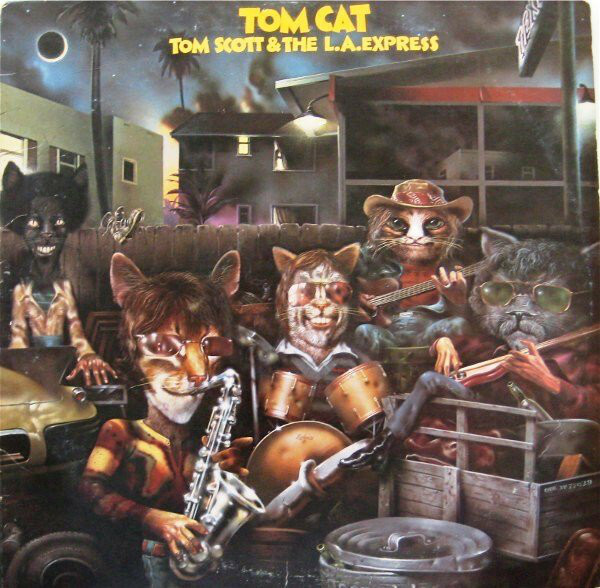 Early in 1975, Tom Scott and L.A. Express’ sophomore album Tom Cat was released. Just like their eponymous debut album, it was a carefully crafted and memorable album of fusion. With fusion no longer as popular as it had been in the late-sixties and early seventies, Tom Cat failed to find the audience it deserved. It was only later that Tom Cat which is an underrated album, became popular album amongst fusion and jazz aficionados. However, in 1975 the commercial failure of Tom Cat resulted in Tom Scott parting company with L.A. Express and returned to his solo career. 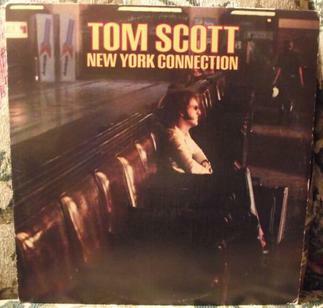 Ode Records signed Tom Scott, who soon, began recording his first album in three years, New York Connection. It featured six new compositions from Tom Scott and three cover versions. They were recorded at the Hit Factory, in New York, between the ‘25th’ and ‘29th’ August 1975, and featured a band included some top musicians. Among the names that joined Tom Scott were Bob James, Steve Gadd, Eric Gale, Hugh McCracken and Ralph MacDonald. When it came to record Appolonia (Foxtrata), a slide guitarist was needed and George Harrison agreed to make a guest appearance. When the album was completed, it was scheduled for release in late 1975. After Tom Scott’s departure from the band, the rest of L.A. Express had to think about the future. For the remaining member of L.A. Express the loss of Tom Scott was a huge disappointment. He had founded the band, recruited some of the musicians and been its driving force. However, the loss of Tom Scott was also an opportunity for the remaining members of L.A. Express to strike out on their own. This would mean a few changes though, and before long, there were two changes to the lineup. The first thing L.A. Express needed to do, was recruit a new saxophonist. They set their sights on securing the services of David Luell, a talented and experienced saxophonist, who was equally comfortable playing baritone, soprano and tenor sax. While David Luell agreed to join L.A. Express, there was still one more change to make, replace the keyboardist Larry Nash. Now L.A. Express began to think about recording their debut album. However, there was a problem. It was Tom Scott and L.A. Express who were signed to Ode Records. This was essentially a partnership, where Tom Scott was perceived as the senior partner, and it no longer existed. For L.A. Express this was a problem, but also was an opportunity for what was essentially L.A. Express Mk.III. When L.A. Express got the chance to sign for Caribou Records, which was founded by James William Guercio, who produced Chicago and Blood, Sweat and Tears, Ode Records didn’t stand in their way. It was a new start for third line-up of L.A. Express. Joni Mitchell who was then engaged to L.A. Express drummer John Guerin, was about to record her seventh album, The Hissing Of Summer Lawns. 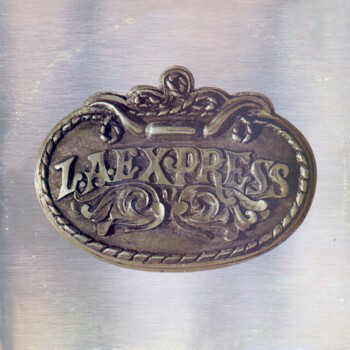 L.A. Express were invited to play on the album. This included the two former members of L.A. Express, Larry Carlton and Joe Sample. They would meet L.A. Express’ new guitarist Robben Ford. However, neither David Luell nor Victor Feldman played on The Hissing Of Summer Lawns. It would be released to critical acclaim in November 1975, and become one of Joni Mitchell’s most successful classic albums. The following year, L.A. Express released their eponymous debut album. When L.A. Express was released early in 1976, it was to critical acclaim. Inevitably, comparisons were drawn with the two albums Tom Scott and L.A. Express had released. While L.A. Express was another fusion album, it was a much more accessible and pop-oriented take on fusion. Still, though, the emphasis was on quality for fusion’s latest supergroup. When L.A. Express was released in early 1976, the album failed to trouble even the lower reaches of the charts. By then, music was changing, and fusion was no longer as popular as it had been. Record buyers missed out on the critically acclaimed L.A. Express. Its commercial failure was a huge disappointment for fusion’s latest supergroup. For Tom Scott who must have been watching with interest, this further vindicated his decision to leave L.A. Express to record a solo album and pursue other musical interests. Meanwhile, the band he had founded was about to receive another bitter blow. With Peter Maunu onboard, L.A. Express Mk. IV headed out of Los Angeles to work on their sophomore album Shadow Play. Their destination was James William Guercio’s Caribou Ranch, in Colorado which sat high above the mountains. It was an atmospheric and inspiring place, and perfect for writing and recording an album. Founder member of L.A. Express, John Guerin, wrote Velvet Lady and Mad Drums And Englishman (Mavro). New recruit Peter Maunu contributed Nordic Winds, Double Your Pleasure and Virtex. Victor Feldman penned Chariot Race, Dance The Night Away and Silhouette. Shadow Play was written by David .Luell and R.Philipe. These songs were recorded by L.A. Express at the Caribou Ranch, with a little help from their friends. Before that, critics had their say on Shadow Play, which would be the second album L.A. Express had released. 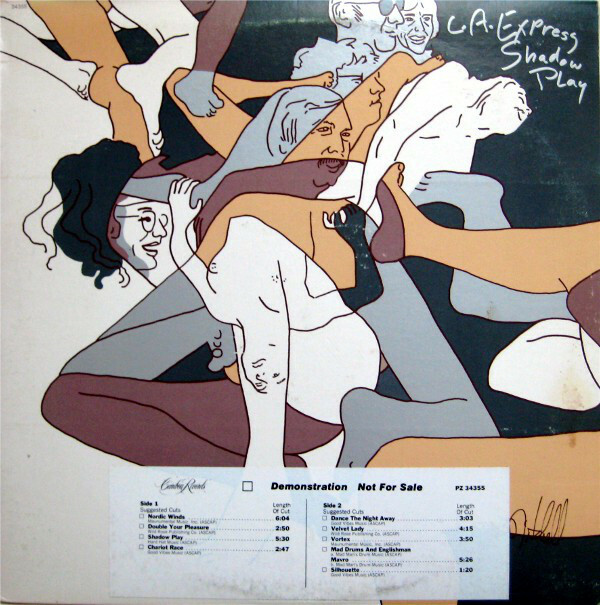 Shadow Play was well received by critics, who noticed that L.A. Express had moved from fusion towards a rockier sound on Shadow Play. The addition of the two guest vocalists was welcomed, which showed another side to L.A. Express They were a chameleon-like and versatile band. While critics were won over by Shadow Play, the album failed to attract the attention of record buyers. Just like L.A. Express, Shadow Play didn’t trouble the charts. For L.A. Express it was the end of the road. Meanwhile, Tom Scott’s fortunes had improved since his departure from L.A. Express. He continued to work with the great and good of music, and accompanied everyone from Minnie Riperton, Carole King, Aretha Franklin to Merry Clayton to Wings, Melvin Van Peebles, George Harrison, The Carpenters, Glen Campbell, Joni Mitchell to Boz Scaggs and Hall and Oates. Still, millions of viewers heard one of Tom Scott’s most successful compositions when they tuned in to The Streets of San Francisco between 1972 and 1977. However, in 1975, another Tom Scott composition, Gotcha, became the theme to Starsky & Hutch. This would prove lucrative for Tom Scott, who recorded Gotcha for his 1977 a bum Blow It Up. By then, L.A. Express called time on their career, and like Tom Scott had moved on to other projects. When L.A. Express called time on their career in 1976, they had only been together for just three years, but had accomplished a lot. They had recorded two albums as Tom Scott and L.A. Express, featured on a trio of Joni Mitchell albums and released two albums for Caribou Records, L.A. Express and Shadow Play. The albums they recorded as Tom Scott and L.A. Express and then Tom Scott is a reminder of one fusion’s oft-overlooked, but multitalented and versatile supergroups which was founded by Tom Scott and should’ve reached greater heights. I still feel that the two albums LA Express and Shadow Play are two of the very best fusion records ever recorded. Two very well put together pieces of fusion for the times. The clarity of Shadow Play instrument wise is uncanny. John Guerins drum sound is still a favorite of mine for tone and depth. You just don’t hear that kind of production anymore. The songs are beautifully performed and written. I have been listening to these for over 40 years and still find a fresh new feel that I think has never been duplicated. Yes Tom Scott’s Tom Cat and his New York Connection records are great but the LA Express albums are gems and need to be listened to a little more closely since they were disappointments in the market. Check out the song “Stairs” and get carried away by its haunting melody and classic solos. Also for a funky example listen to “Double Your Pleasure”. Again John Guerins drums are unreal sounding and his feel is premiere. Buy and check out these records. Check them out on You tube if necessary, just please listen, its worth your time believe me. 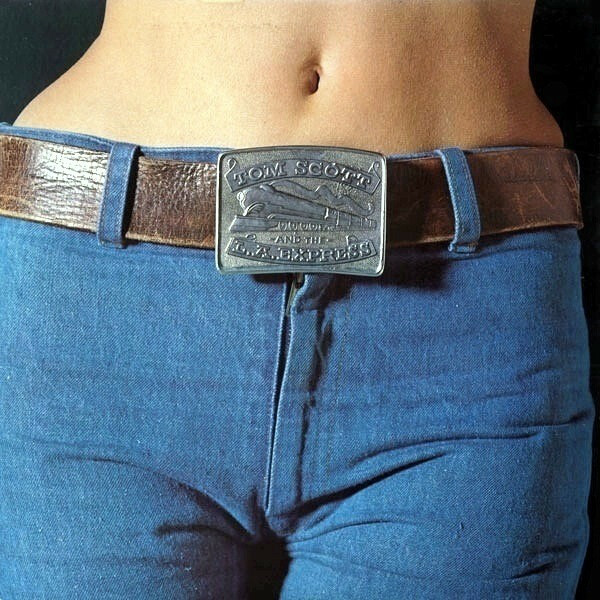 I even bought the belt buckle on the cover of the first album.